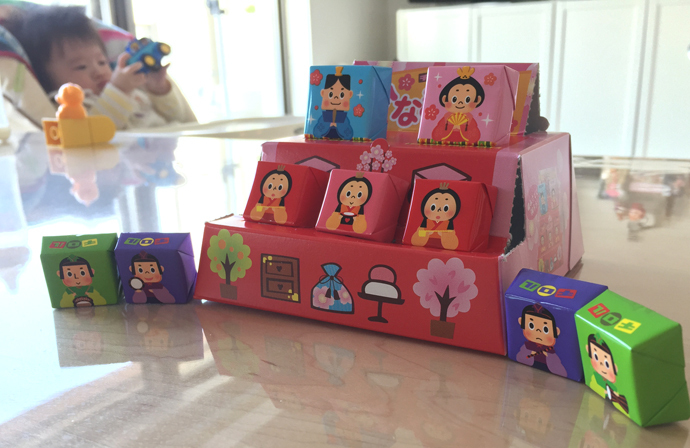 The 3rd of March is the traditional and representative spring event day called “Hina-Matsuri” in Japan. Hina-Matsuri means Girls’ Festival! There is a tradition if the baby is a girl, the parents of the mother give a traditional dolls called Hina-kazari (Traditional dolls of Emperor, Empress, their servants and accessories on the tiered stand) to their daughter’s family. This day, parents having daughter invite their families and friends to celebrate this event. 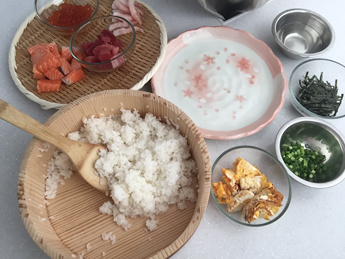 They display Hina-Kazari and serve guests traditional dishes, like Chirashi-zushi (garnished sushi), hard-shell clam clear soup, hishi-moshi and hina-arare (pink and white grilled piece of rice cakes). And they drink Ama-zake (white sake). This is called “sake” but Ama-zake is usually non-alcohol sake for this occasion.I like to make Amazake at home. *For more detail, please check here! Though I have a baby boy, I like this event. 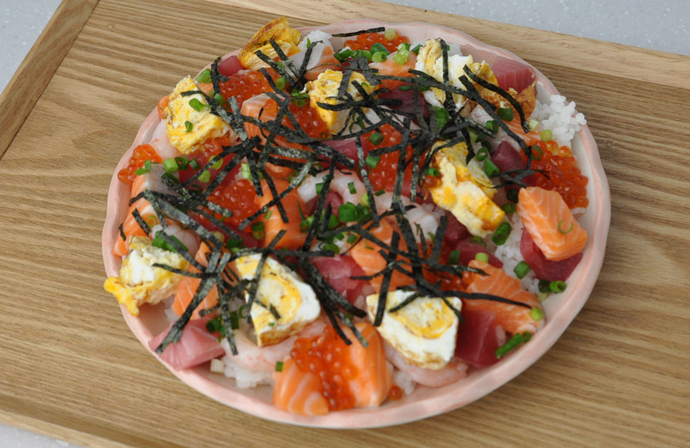 So, I made the Chirashi-zushi for my family this year. Also I found the compact (and also tasty!) Hina-kazari at the supermarket so I built it at home! In addition, I got the modern style Hina-arare (grilled bits of rice cake) as well. Yummy! Have a wonderful Hina-Matsuri (Girls’ Festival) day, everyone!